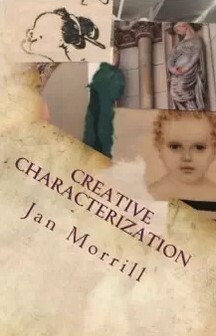 Jan Morrill was born and (mostly) raised in California. Her mother, a Buddhist Japanese American, was an internee at Tule Lake and Topaz during World War II. Her father, a Southern Baptist redhead of Irish descent, retired from the Air Force. Jan’s award-winning historical fiction, The Red Kimono, and other short stories and memoir essays, reflect growing up in a multicultural, multi-religious, multi-political background. While working on the sequel to The Red Kimono, Jan teaches writing workshops and speaks about the history of the Japanese American internment. Above is my “official” bio–the one written in third person, almost as if I’m not a real person. Here’s a bit about me in the first person. You know a bit about my cultural background already. I am the oldest of five children, and I can honestly say, if I’d had a choice, I might have chosen a different position in the family. Maybe the middle child–less conspicuous. Or, even better, the youngest child, or only daughter. But then, my brother, the youngest AND the only boy, didn’t have it so easy with four sisters above him. Growing up with all the responsibilities of an oldest child–second mother to my younger siblings–was and is both a blessing and a curse. I learned to be responsible at an early age. I (at times) am respected for my sibling position. I learned to be responsible at an early age. Yes, that’s a blessing as well as a curse. Somewhere along the way, I forgot how to play. But, now in my 50s, I’m learning all over again. (At times) I am despised for my sibling position. I often have to make difficult decisions that not everyone is happy about. In my youth, I was known as Miss Goody Two Shoes–the sibling that had no choice but to toe the line. I was expected to set the example. Well, I’m afraid this, too, is changing. What is the value of saving face if that face is only a mask?